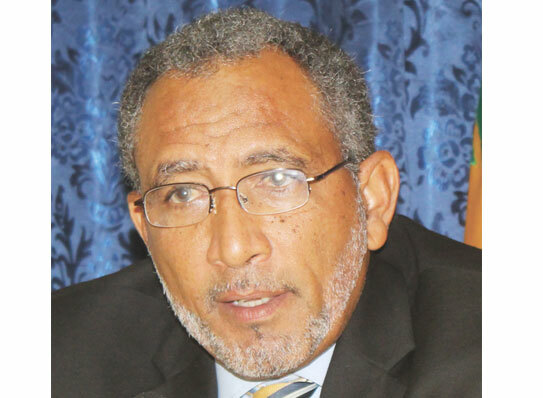 The New Democratic Party (NDP) is undeterred in its plan to introduce a Citizenship By Investment (CBI) program for St Vincent and the Grenadines (SVG) should they form government. “No one has said that these programs are in any way illegal or illicit,” President of the NDP and Leader of the Opposition Dr Godwin Friday said on Wednesday while being interviewed on the OMG morning show on Boom 106.9 FM by Dwight ‘Bing’ Joseph. Friday said many countries like the United States, the United Kingdom and some European Union countries have similar programs. But Friday said if these programs are properly administered, there are unlikely to be problems. “You have to make sure the administration of them is done with the utmost integrity and transparency. I think that is one of the things they criticized for the OECS countries that the selection process and the granting of the citizenship … was too opaque, and it needs to be more transparent. I don’t have any problem with that because any program that we administer here in St Vincent and the Grenadines will meet those standards,” the NDP president said. He said when problems occur and people slip through the cracks, corrective action must be taken. Antigua and Barbuda, Dominica, Grenada, St Lucia, and St Kitts and Nevis are the five independent OECS nations on the blacklist, while the other Caribbean nations and territories named are The Bahamas, Barbados, Turks and Caicos and Montserrat. Friday cited the benefits that Dominica and St Kitts and Nevis have derived from CBI programs. In 2017, St Kitts and Nevis achieved reduced its public debt by 13 per cent, to achieve a 60 per cent debt to GDP, while the economy grew by 9 per cent since 2014. During his 2018/2019 budget speech delivered in July, Prime Minister of Dominica Roosevelt Skerrit said his government expects revenues related to the country’s CBI program to account for nearly 52 per cent (EC$406.6 million) of total government revenue in the upcoming fiscal year. Friday said funds raised from such programs should not be used to fund the current account operations of government. “Those should be targeted for capital projects so that you can use them to develop certain areas of the economy, … so that you do not rely on them to pay your civil servants and that sort of stuff, because then it becomes too dependent a position. You use them … for strategic economic development programs and capital projects that will generate growth for the country so that you don’t have a situation where you are continuously dependent. “…You don’t have to keep taxing Vincentians for everything the government needs,” Friday said, adding that when there is no revenue from other sources, government increases taxes. “When you keep squeezing people, by increasing VAT and putting taxes on the hotels and so on, that cannot bear them, that eventually grinds the economy into the dust,” he said. Friday said under an NDP government, the program will be administered with the highest international standards and for the benefit of SVG. Dr Ralph Gonsalves, the prime minister of SVG has remained steadfastly opposed to citizenship by investment programmes (CIP), even in tough economic times. Describing them as a “race to the bottom”, he has said such programmes bring with them national security challenges. Successive leaders of the opposition New Democratic Party (NDP) have stated their support for CIP programmes and their intention to introduce them here should they win government.